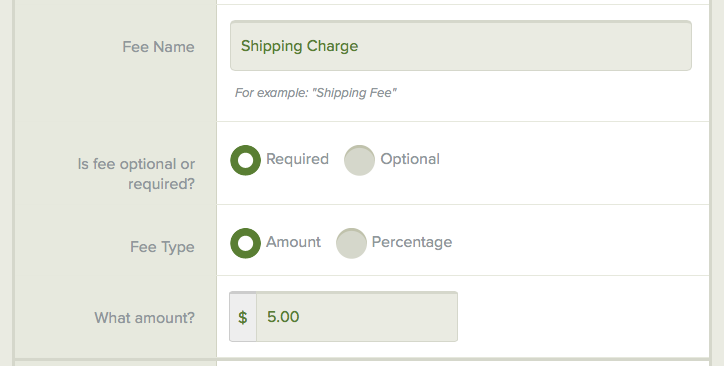 How do I add additional fees (such as shipping, taxes, or surcharges) to a payment form? 2) Find the Amount section and click Yes to answer the question "Charge an additional fee?" 3) Enter a name for the fee, whether it optional or required, whether it is a percentage or dollar amount, and what that amount or percentage is.